The CCDs offer the world’s top-end picture quality, with high sensitivity (F12 at 50i), wider dynamic range and the elimination of motion artefacts. On top of this, the PDW-850 offers an excellent signal-to-noise ratio of 62dB. It records the most popular broadcast MXF formats: MPEG HD 422 50 Mbps, MPEG HD 420 35 Mbps and 25 Mbps, MPEG IMX 50 Mbps and DVCAM. Weighs only 4.2 kg (body only) and offers lower power consumption than predecessor models PDW-680, PDW-700 and PDW-F800 of only 37W in normal operating conditions. Full integration with Camera Control Units (CCUs) via the CA-FB70 optical fibre adapter and CA-TX70 digital triax adapter The PDW-850 shares the same CCD and Digital Signal Processing as the HSC and HDC system cameras, allowing you to perfectly match the picture output. Features CBK-WA100 wireless adapter support with USB connector and GPS included for synchronised proxy recording, low latency tablet/smartphone monitoring and proxy/high resolution content transfer over Wi-Fi/3G/4G/LTE, and better planning metadata management. Large, easy-to-focus, high quality colour Quarter Full HD 960 x 540 LCD monitor, plus an HDVF interface to allow the latest optional colour and monochrome eyepiece or studio viewfinders to be attached. The PDW-850 is equipped with the latest generation three 2/3-inch type PowerHAD FX CCDs with 2.2-megapixels each. These CCD sensors offer the world’s top-end picture quality, with high sensitivity of F12 at 50i, a wider dynamic range and the elimination of motion artefacts. It also offers an excellent signal-to-noise ratio of 62dB with Noise Suppressor (NS) turned on. The PDW-850 is designed to be ergonomically well balanced, providing a high level of mobility and comfort in various shooting situations. It weighs only 4.2 kg (body only), lighter than the PDW-F800 and PDW-700. The PDW-850 also offers lower power consumption compared to its predecessors, of only 37W when recording with a viewfinder. The PDW-850 is fully enabled for integration in the live production environment. The standard 50-pin interface enables full integration with Camera Control Units (CCUs) via the CA-FB70 optical fibre adapter and CA-TX70 digital triax adapter. 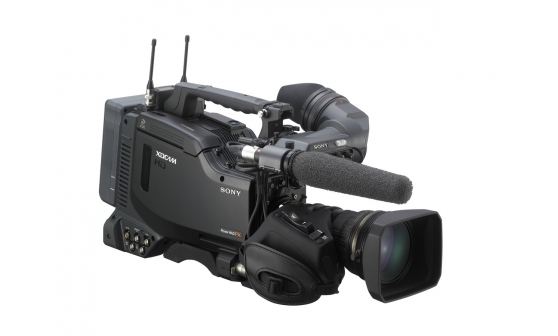 It allows for perfect integration with HSC and HDC Sony system cameras in outside broadcast or studio applications. The camcorder provides DC power, HD-SDI and USB communication interface to the CBK-WA100 wireless adapter. The CBK-WA100 enables proxy recording on SD card, proxy and/or high resolution material transfer via 3G/4G/LTE/Wi-Fi, as well as remote control, and streaming of content to a tablet/smartphone as it is shot. These functions are provided in the free Content Browser Mobile (CBM) application available on Google Play and Apple Store. CBM also enables planning metadata and live logging metadata management (with a future upgrade). The camcorder also includes GPS functionality to help retrieve shooting locations and reduce the post-production time with a faster search in a large volume of files: the geo-tagging function allows you to conduct a simple search via a non-linear editing system, enabling better organisation for documentary and broadcast productions. The shutter speed of the PDW-850 is selectable down to a 32-frame period (in 2-, 3-, 4-, 5-, 6-, 7-, 8-, 16- and 32-frame periods). During such a long frame period, electrical charges accumulate on the CCDs, which dramatically increases sensitivity. This helps camera operators to shoot in extremely dark environments. The Slow Shutter function also allows operators to use shutter speeds longer than the frame rate and to intentionally blur images when shooting a moving object, for increased shooting creativity. The camcorder enables Slow and Quick recording at 1080p 50 Mbps. For pool-feed operations, the camcorder has built-in HD-SDI, SD-SDI and composite inputs. The PDW-850 records uncompressed four-channel, 24-bit audio. It is also equipped with a range of microphone, line and AES-EBU audio interfaces. The camcorder has an HDVF interface to allow optional colour and monochrome viewfinders to be attached, such as the HDVF-20A and HDVF-200 2.0-inch monochrome viewfinders and the HDVF-C30WR 3.5-inch colour viewfinder. HDVF-C550W and HDVF-L750 studio viewfinders are also supported. The PDW-850 is compatible with a variety of microphones. It is equipped with a 5-pin XLR input for stereo shotgun-type microphones. The camcorder can also accommodate Sony stereo digital wireless microphone receivers and a wide range of optional microphones. A large, easy-to-focus, high quality colour Quarter Full HD 960 x 540 LCD panel on the PDW-850 camcorder's side panel enables operators to instantly review recorded footage, as well as access the camera's set-up menus and view status indications such as four-channel audio meters, and the remaining time available on the disc and battery. It also enables advanced operations such as Thumbnail Search and Scene Selection. The DSP (Digital Signal Processing) LSI is the heart of the image-processing device for the PDW-850 camcorder. In conjunction with the 16 bit A/D converter, it produces images captured by the CCD at maximum quality. In addition, white balance, white shading, and flare are digitally corrected, allowing for stable image correction. What's more, the PDW-850 provides a NS (Noise Suppression) mode to reduce high-frequency noise elements in a video signal using Sony's advanced digital processing technology. ALAC-2 processing radically reduces both horizontal and vertical chromatic aberration. The PDW-850 offers an Interval Recording function, which intermittently records signals at pre-determined intervals. This is convenient for shooting over long periods of time, and also when creating pictures with special effects of extremely quick motion. The PDW-850 offers a Picture Cache Recording function that is especially useful during ENG applications. 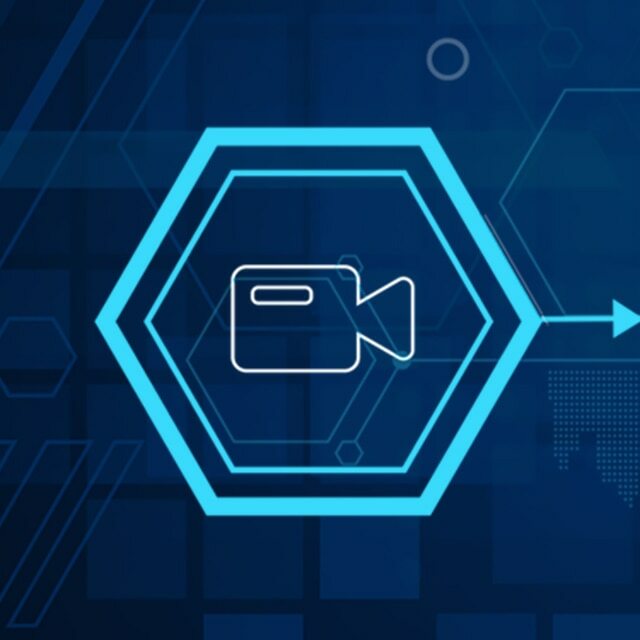 Up to 30 seconds of audio and video signals are buffered into the camcorder's memory before the Rec button is even pressed (when in Standby mode). This means that everything that happened 30 seconds before the Rec button was pressed will still be recorded onto the disc. What's more, this function works even before the disc is inserted in the drive – thereby helping to prevent the loss of any unexpected, yet important events. A wide choice of gain and its easy-to-use control system is one remarkable feature of the PDW-850 camcorder. By setting the gain to the assignable switches, the user can easily access the desired gain. And the transition to each gain value is extremely smooth thus eliminating undesirable abrupt changes to the overall image. The PDW-850 camcorder comes equipped with dual optical filter wheels, ND (Neutral Density) and CC (Colour Correction). The optical ND filter is controlled via a built-in ND filter wheel - Clear, 1/4ND, 1/16ND/ and 1/64ND. And with the CC filter wheel, the user can easily obtain the desired colour temperature by rotation to achieve either – 3200K/4300K/5600K/6300K. The Digital Extender function of the PDW-850 enables images to be digitally 4x increased in size. Unlike lens extenders, the Digital Extender function performs this capability without any loss of image sensitivity, which is often referred to as the F-drop phenomenon. Use of the 4x Digital Extender function reduces image resolution by four. *1: The values for dimensions are approximate. *4: Viewable area measured diagonally. Full-HD 9-inch LCD monitorwith 2x 3G/HD/SD-SDI inputs and smart functions. This firmware upgrade requires a mandatory post-adjustment which can only be performed by a qualified engineer.